Finally capella is available for Windows and for Mac. Both versions are developed parallelly and have identical functions. When ordering capella you don't have to make a distinction between Windows or Mac version. Only when downloading you need to select the appropriate system. 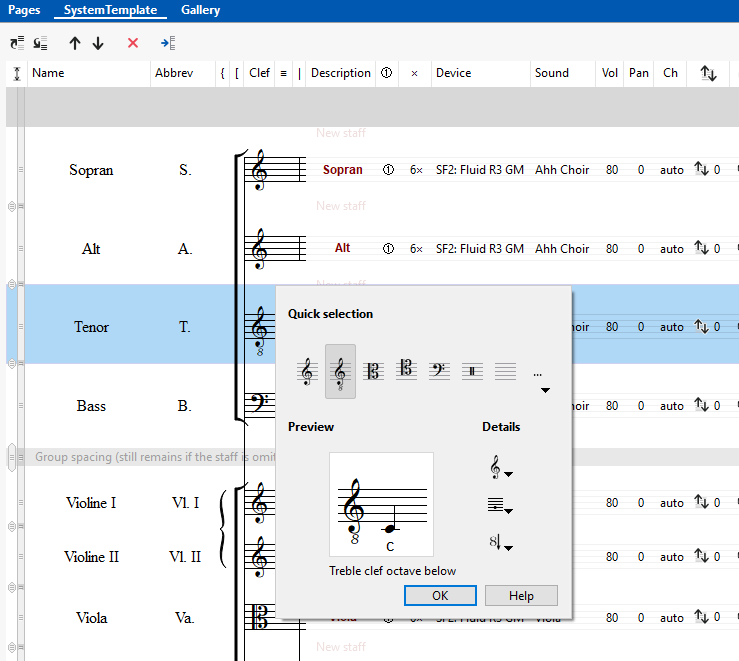 In the country of Beethoven, Bach and Reger, capella has become the de facto standard for notation editors amongst musicians from all walks of life. For a detailed list see below. While beginners will immediately be able to record their creative ideas, professionals will continue to enjoy the immense depth of features and possibilities. ... as good as they came from traditional notation craftsmen. capella's value for money is unsurpassed. Edit area to the right: All elements are displayed in a clear layout depending on the context. ... welcomes the user with information and latest news. Simple navigation to the next work step. capella supports the unique capella-tune technology, putting you in complete control of capella's tonal palette. Ornaments like trills, dynamic gradations, support for capella Vienna orchestra, echo effects and playback according to swing or Waltz rhythms are all reflected during playback. With capella you are using the Soundfont technology. This way you are not depending any more on the mediocre MIDI sounds of a sound card or on expensive sound libraries. You simply load the soundfont which you like best. Many of them are free. The SystemTemplate is the "floor plan" for your score. Here, the most important features are determined. All this happens in the left area - very intuitively to operate. 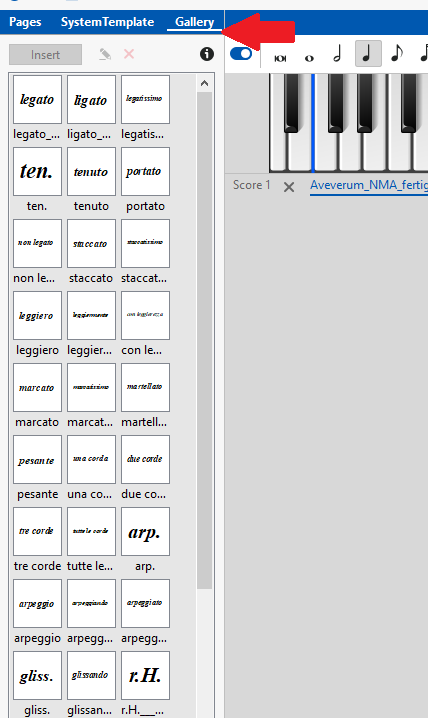 Spacings, brackets, barlines across staves are all dragged with the mouse. Names are entered on the spot. Sounds are selected from the list - and much more. Really comfortable! Graphic objects are selected from pre-defined pallets using the mouse. Experts can define their own individual pallets from the symbols available in capella's character set. All graphic objects can be scaled, stretched and compressed and can be placed in front or behind the notes. This way for example watermarks covering the entire page can be placed underneath the score. 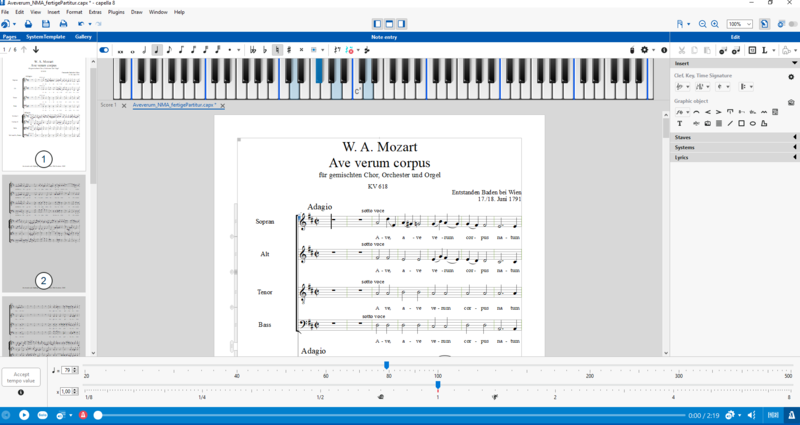 capella has direct connection to the online score library Musicalion.com. Here, you search and find scores for download - you can choose from around 38,000 scores! And you don't even need to leave capella to do so. Now it is very easy to share music on Musicalion as you can directly upload your score from capella. Musicalion works on mutual terms: When you deliver scores, you pay less for your membership. Because more than 300,000 registered users are already working with capella, capella's file format has become the standard as far as notation programs are concerned. Indeed, you will find thousands of free scores in private collections across the Internet. Don't buy a pig in a poke! Form your own impression: Download the current version here and test the software to your heart's content. This 15-day trial version has no limit in functionality.